Every Tamil filmmaker who awaits a release would dream for a release window like Diwali 2017. We have 5-day festival weekend which could accommodate more than one big film. There are films like Hara Hara Mahadevaki, Sollividava, and Nenjil Thunivirunthal eyeing for a Diwali spot apart from Vijay's Mersal of course which booked the slot long back. 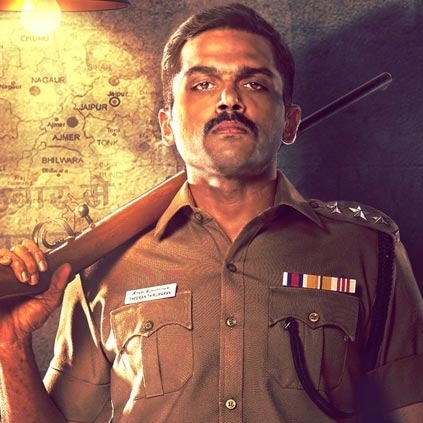 Now according to the latest reports that we get, Karthi's Theeran Adhigaram Ondru might also release for Diwali. Theeran Adhigaram Ondru is directed by Satturanga Vettai fame H Vinoth and produced by Dream Warrior Pictures. If Theeran books a slot, we might see a slight shuffle in the release plans of some of the smaller films who looks to join the Diwali race. Will the Premam boys strike gold again? Breaking: Vijay Sethupathi - Thiagarajan Kumararaja film gets a new heroine!! !